Partially cook bacon on a baking rack at 375ºF, to render some of the fat. About 6-8 minutes. Remove from oven and set aside. In bowl, combine eggs, cheese, and salt and pepper. On a flat surface roll out bread slices to flatten and cut into quarters. Lightly grease a muffin tin with cooking spray. Line the wells with 1 bacon slice each. Then place the flattened bread slices and press into the well to form cups. Fill with the egg and cheese mixture. 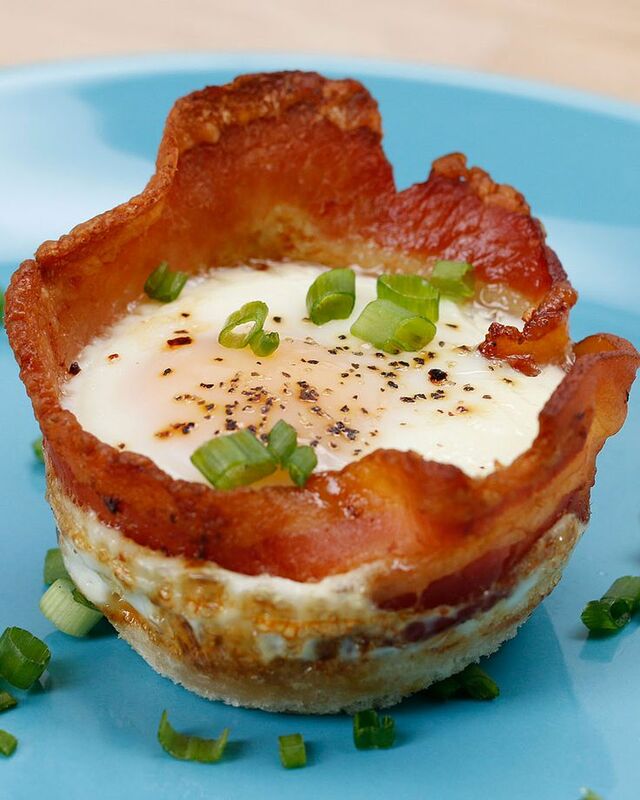 Bake at 375ºF for about 15-20 minutes, or until the bacon is crispy and the eggs are set. Garnish with chopped green onion on top.